Managing assessment and accreditation is no small feat. We know that, we've been in your shoes. Institutional effectiveness software can help simplify and streamline the process, but there are so many options that choosing the right one can be daunting! 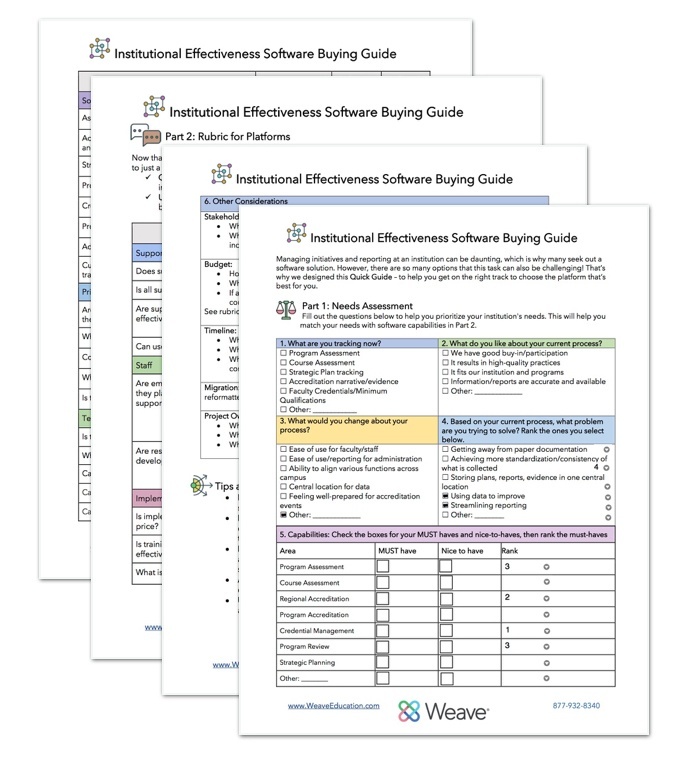 That's why we created this institutional effectiveness buying guide, to help you evaluate and choose the option that's best for you and your institution. Download this 4-page guide now to find the best solution to simplify and and streamline your assessment and accreditation processes. Need to share this checklist with your colleagues and decision committee? Use the buttons below!